Considering law school abroad? We’ve compiled essential information about gaining admission into law schools in the United States, Canada or Australia; and the relevant admission processes to help make your decision easier is linked. This article describes a service provided by the Law School Admission Council to ease the law school admission process. Find everything you’ll need to learn about legal education, careers in law, and applying to law school on this page and its links. The Law School Admission Council (LSAC) administers and offers The Law School Admission Test (LSAT®) for intending native and international students wishing to gain admission into a law school in the United States, Canada and/or Australia. The Law School Admission Test (LSAT) is a half-day standardized test administered four times each year at designated testing centers throughout the world. Administered by the LSAC for prospective law school candidates, the LSAT is designed to assess reading comprehension, logical, and verbal reasoning proficiencies. The LSAT test is an integral part of the law school admission process in the United States, Canada (common law programs only), the University of Melbourne, Australia, and a growing number of other countries. An applicant cannot take the LSAT more than three times within a two-year period. Law schools want students who can think critically and write well, and who have some understanding of the forces that have shaped the human experience. The LSAT test provides a standard measure of acquired reading and verbal reasoning skills that law schools can use as one of several factors in assessing applicants. Although performance on the LSAT is not the only factor that influences admission decisions, it is considered to be an excellent predictor of future success in law school. The test is administered four times a year at hundreds of locations around the world. The current form of the exam has been used since 1991. The exam has six total sections: four scored multiple choice sections, an unscored experimental section, and an unscored writing section. Raw scores are converted to a scaled score with a high of 180, a low of 120, and a median score around 150. When an applicant applies to a law school all scores from the past five years are reported, though, depending on the school, the highest score or an average score may be used. Logical reasoning: The LSAT contains two logical reasoning ("LR") sections, commonly known as "arguments", designed to test the taker's ability to dissect and analyze arguments. LR sections each contain 24–26 questions. Reading comprehension: The LSAT contains one reading comprehension ("RC") section consisting of four passages of 400–500 words, and 5–8 questions relating to each passage. Complete sections contain 26–28 questions. The questions test the candidate's ability to understand, interpret, and apply the information found in short passages of text. Logic games: The current LSAT contains one logic games (LG) section, officially referred to as the "analytical reasoning" section. One section contains four "games" falling into a number of categories including grouping, matching, and ordering of elements. Each LG section has 22–24 questions. The candidate will have to draw inferences from the information provided in each set of conditions. Unscored Variable section: The current test contains one experimental section which Law Services refers to as the "Variable section". It is used to test new questions for future exams. Writing sample: The writing sample appears as the final section of the exam. While there is no "right" or "wrong" answer to the writing prompt, it is important that the examinee argues for his/her chosen position and also argues against the counter-position (i.e. two composition tasks). LSAC does not score the writing sample. Instead, the essay is digitally imaged and sent to admission offices along with the LSAT score. Most law schools require candidates to take the exam by December of the year preceding that in which they seek admission. The test has existed in some form since 1948, when it was created to give law schools a standardized way to assess applicants aside from GPA. The current form of the exam has been used since 1991. The 2016–2017 price to take the LSAT is US$180. The Law School Admission Council (LSAC) is a nonprofit organization whose members include more than 200 law schools throughout the United States, Canada and Australia. 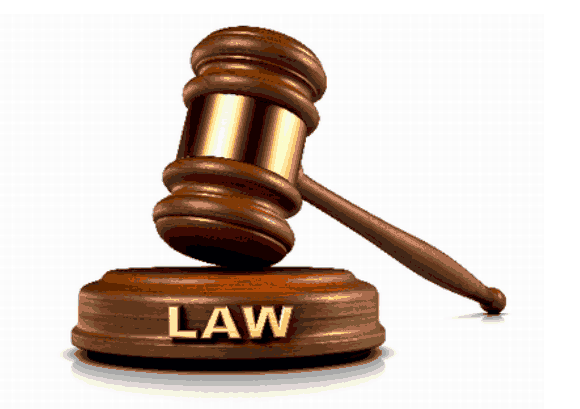 It provides products and services to facilitate the admission process for law schools and their applicants worldwide. All law schools approved by the American Bar Association are LSAC members, as are Canadian law schools recognized by a provincial or territorial law society or government agency. Many nonmember law schools also use LSAC's services. The Council operates from its headquarters in Newtown, Bucks County, Pennsylvania (about 15 miles north of Philadelphia). Founded in 1947, the Council is best known for administering the Law School Admission Test (LSAT®), with over 150,000 tests administered annually at testing centers worldwide. LSAC processes academic credentials for an average of 85,000 law school applicants annually, provides essential software and information for admission offices and applicants, conducts educational conferences for law school professionals and prelaw advisors, sponsors and publishes research, funds diversity and other outreach grant programs, and publishes LSAT preparation books and websites and law school guides, among many other services. Thinking about law school in the USA, Canada or Australia? This Law School Admission Council, Inc. (LSAC) Booklet Guide describes several services provided by the Law School Admission Council, an organization founded to support legal education. These services, along with some helpful publications designed with you in mind, make learning about and applying to law school easy. Visit the Law School Admissions page on the official Law School Admissions Council (LSAC) website to learn more about testing days and deadlines, exam preparation materials, online application procedures, test fees and other relevant details.